Clinical analysis of blood is one of the most popular and simple methods of diagnosis. It allows you to identify hematological diseases, detecting the infection, monitor the progress of treatment. Exclude from the diet of fried, fatty and spicy foods for a few days before the date analysisand. Refrain from taking even mild alcoholic beverages, as they are, albeit slightly, but by a change of the qualitative composition of the blood. Donate blood on an empty stomach or stand for at least two hours after a meal. Meal increases the level of leukocytes, therefore, the result of the analysisand commissioned on a full stomach, will be inaccurate. Before the test, do not drink anything but water. Other drinks, like food, change the composition of the blood. Refrain from Smoking for several hours prior to the visit to the lab. Do not donate blood earlier than 12 hours after conducting a rectal examination, physiotherapy treatment, x-ray. Avoid strenuous exercise the day before delivery of the analysis. Emotional stress is also contraindicated. Do not donate blood immediately after arrival in the laboratory. Sit down, relax, take a break for 15 minutes. The heavier was the road (public transport, fast-walking, climbing stairs), the more time is needed to make qualitative and quantitative composition of the blood returned to normal. Donate blood before treatment. Receiving medication (hormonal drugs, antibiotics, painkillers and other drugs) affects the reliability of the results of the analysis. If the therapy has already started and cannot be interrupted, check with your doctor for what period of time is derived from the blood of a drug. The same applies to the dietary Supplement. If you rent a clinical analysis of a blood in dynamics, see in the same laboratory, where the study was conducted. In different places can have different reference values, often different methods of counting cells, using different devices. The result can be a large error when comparing results. Most blood tests conducted on an empty stomach. This need is due to many factors. "Fasting" means that since the last meal should take 8-12 hours. Clinical analysis of blood, or blood from a finger". This analysis reflects the content of hemoglobin and the number of cellular elements of blood (erythrocytes, platelets, leukocytes). The purpose of this analysis is the diagnosis of various diseases and, above all, inflammatory processes. This is evaluated leukocyte formula, which the "hungry" man will look different than the "fed". Even a small amount of food dramatically increases the level of white blood cells that can induce the doctor to about a diagnosis and see rejection where there is none. That's why you can't eat before blood donation. Biochemical analysis of blood, or blood from a vein. In conducting this analysis revealed levels of blood fats, cholesterol, sugars, proteins, and their decay products. This analysis shows the "quality" of the internal organs, describes the secretory and excretory functions of the kidneys, liver, pancreas. When the disease it allows to establish an accurate diagnosis, especially in controversial cases. Biochemical analysis of blood hand over on an empty stomach. Indicators of glucose, cholesterol, bilirubin in the blood is directly dependent on the income of the food. If it is eating, they will be inflated. Before testing you can't even drink water and chew gum. Blood sugar or diabetes test. This analysis shows the level of sugar in the blood, which gives an indication of the presence of diabetes or the propensity to it. Blood shall be on an empty stomach, then the person is asked to drink a glass of sweet water, and an hour later blood taken again. The difference in performance can be judged on the glucose uptake and the pancreas. 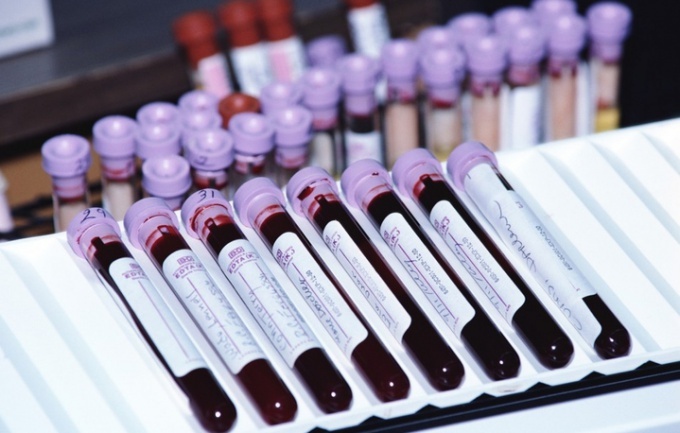 A blood test for hormones. This analysis should be conducted in the morning as during the day, hormone levels will change. It is very important to donate blood on an empty stomach, because food intake may increase the level of certain hormones. 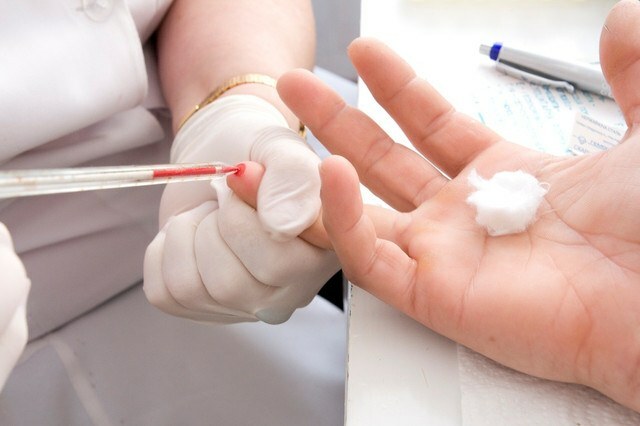 A blood test for antibodies to various diseases (serology). For the detection of various infectious diseases. Before blood delivery it is necessary to refrain from eating for at least 6 hours. Because food can affect the properties of blood plasma, increasing its viscosity, the correct execution of the analysis difficult. In many laboratories, the norms are calculated for indicators that are characteristic only for the morning hours. During the day, these figures are subject to fluctuations, so to give blood at another time makes no sense. The day before analysis to avoid physical stress, nervous overwork, excesses in eating, drinking. Medications need to inform the technician. For 8-12 hours before analysis can not eat or drink any beverage except water. Re-take tests better in the same laboratory.